Over the years, Resurgent has assembled nearly 3,000 bikes! 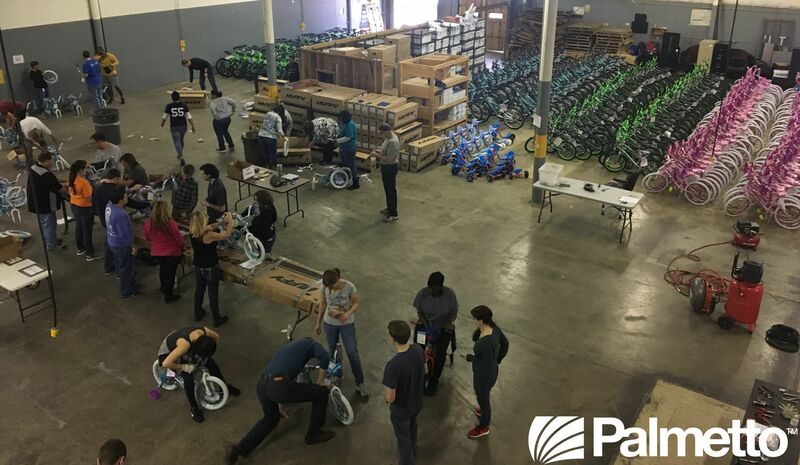 In 2014, their supporting agencies and firms donated the funds to purchase 864 bicycles and over 90 employee volunteers worked in assembly-line fashion to assemble them over a three-day initiative to help provide a special gift for the children at Christmas. Assembled bikes and helmets are delivered at the end of their project to children across the Upstate and 12 charities in time for Christmas!